WELCOME TO R.J INDUSTRIAL SUPPLY CO. Your trusted source for quality cutting tools in Northern Ontario. 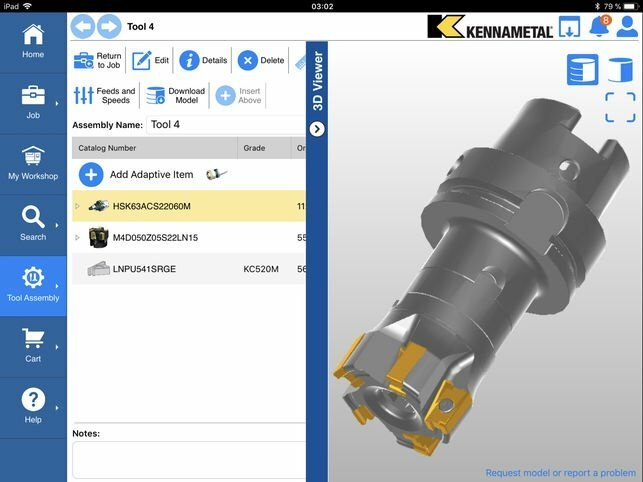 Download Kennametal NOVO on your PC or Mobile device. The only tooling app you need. Connecting end user with the distributor and manfucaturer for a streamline process of selecting, purchasing and receiving your new product. We are your Northern Ontario cutting tool supplier with direct access to most of the best and biggest cutting tool brands on the globe. Whether your vehicle needs conventional, high mileage or synthetic oil, our team will check, change, inspect, flush, fill and clean the essential systems and components of your vehicle. We also perform a visual checklist to diagnose potential problems and help you plan any upcoming recommended services/maintenance. We change your oil quickly and professionally to the highest industry standards.